In Loving Memory: Marcia Lebos, 1942-2015 | Yo, Yenta! 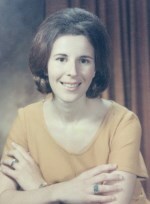 Marcia was my beloved French teacher at Coral Gables Sr. High in 1965-67. She and Harvey took our class to France, which ignited my passion for French language and culture. Marcia was my favorite teacher and it was because of everything about her that I became a French teacher (30 year career). We kept in touch while they lived in Winston-Salem, where I was majoring in French at Wake Forest University. I thought about her often all through the years and hoped to share with her my teaching career. I only wish I could have written to her before time ran out. Her family was blessed to share her beautiful life for so long.